“For how long is the ex-partner of a friend untouchable? Lucía (Victoria Bertuccelli, To Fool A Thief) has been separated from Ricki, the father of her daughter Abi, for 4 years. 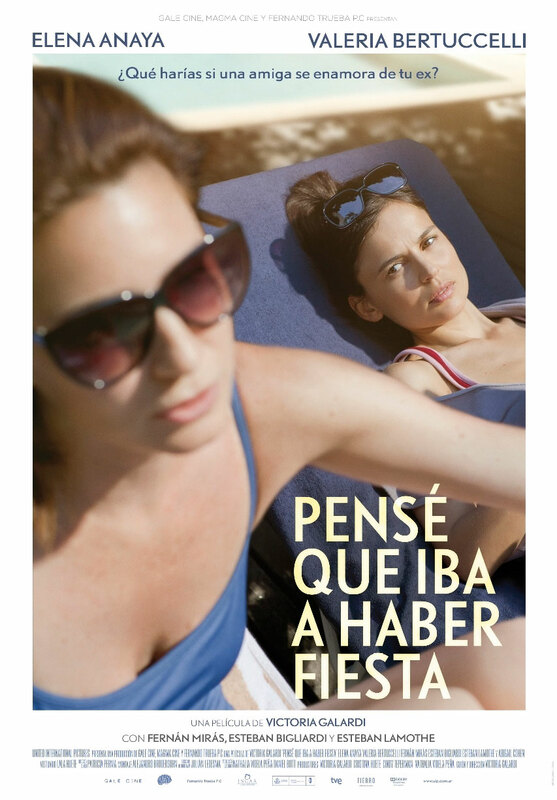 She invites her best friend Ana (Elena Anaya The Skin I Live In, Room in Rome) to stay and care for the house and enjoy the summer by the pool while she takes a short trip to Uruguay with her new partner. Early the morning after Lucía leaves, Ricki, who has not seen Ana for almost 2 years, comes to collect his daughter. In a casual and unexpected encounter, Ana and Ricki discover an attraction—or perhaps confirm one that may have always been there—and a romance is ignited. Upon Lucía’s return Ana avoids the inevitable admission as she battles guilt, lies and the fear of losing her friend.” – Spanish Film Festival Australia. An honest and poignant commentary on friendship, I Thought it was a Party is also a film about the search for love, loneliness, fear, guilt, and the world of women. I THUGHT IT WAS A PARTY IS ONE OF THE MANY FILMS INCLUDED IN THE CATALOGUE OF SPANISH FILM CLUB. SFC AFFILIATED UNIVERSITIES CAN TAKE ADVANTAGE OF A SPECIAL PRICE OF $99 IF THE TITLE HAS BEEN INCLUDED IN THEIR SFC FESTIVAL. PLEASE CONTACT SFC STAFF AT FILMCLUB@PRAGDA.COM FOR MORE DETAILS. Victoria Galardi was born in Argentina in 1977. She studied screen writing in Buenos Aires and in New York. She attended the Lee Strasberg Theatre Institute, studying directing and acting. She wrote the feature film Lovely Loneliness, codirected with Martin Carranza in November 2007. It was nominated by the Argentina Academy as best first feature film. In 2008 she wrote Cerro Bayo, her second feature film as a director. In 2009 Galardi, along with Cindy Teperman and Julian Ledesma, created Gale Cine, a production company dedicated to produce feature films and shorts. She wrote and directed I Thought It Was a Party, which was nominated by the Argentine Academy for best editing, best cinematography, and best production design.